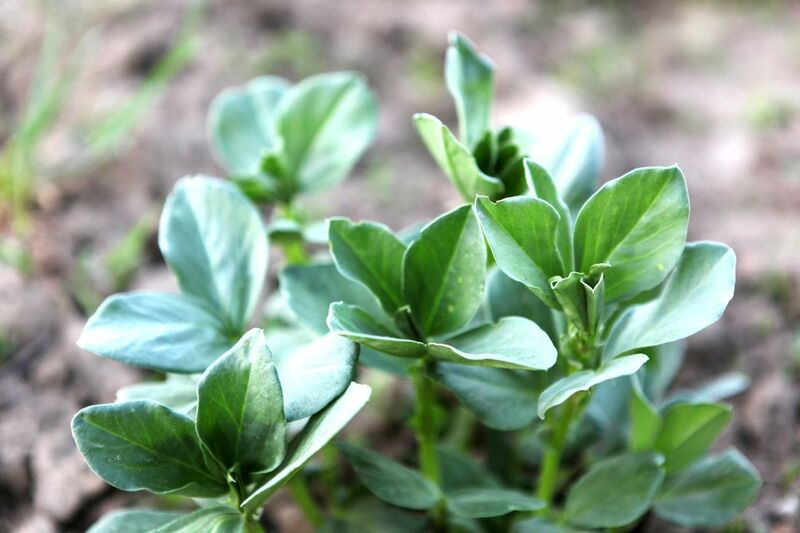 The green leaves from the fava plant — yes, the one that grows the beans that are so much work to double-shell — have a fabulously fresh yet nutty flavor. If you're lucky enough to find them at the market, try sauteing them to highlight their delicate flavor. This recipe is as much a method as a recipe, so increase amounts and add seasoning as you like. Thoroughly clean the greens and pick them over for damaged leaves and thick stems. Heat a large frying pan, saute pan, or pot (the key here is a wide surface area) over high heat. Once hot, add the butter and/or oil. It should melt and/or heat immediately. Quickly add fava greens and cook, stirring, until they're wilted. The high heat and stirring help any liquid the leaves release evaporate quickly. Transfer the cooked fava greens to a serving platter or plates and sprinkle with salt to taste. Serve the fava greens hot or warm. A squirt of lemon isn't a bad addition if you have fresh lemons around.